These are the moments in life when dancing is almost unavoidable. Children, as well as some adults, participate in a creative movement dance class at Madison Contemporary Vision Dance. Dancing is a life skill that teaches people how to think creatively on their feet, suggests Sara Rohs, the artistic director of Madison Contemporary Vision Dance, a local dance company that was founded in 2010 and became a non-profit organization this year. “There’s all sorts of events where dance is involved and if you can feel like you can get out and enjoy yourself, it’s a really beautiful thing,” Rohs said. 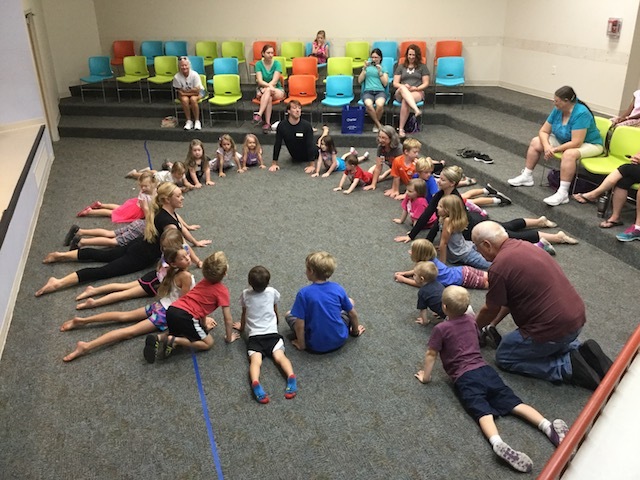 Rohs teaches dance to Madison’s youth with community outreach classes. This summer, she taught creative movement dance to preschool-age children in various locations throughout the city. Rohs began teaching outreach classes six years ago, two years after she founded MCVD. “It’s so wonderful because I get to bring dance to people...of all abilities, of all income levels,…boys and girls, and they all love it,” she said. 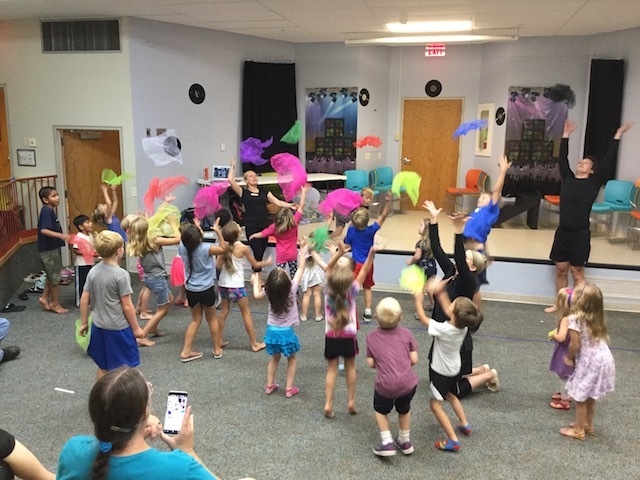 As a teacher, Rohs sees the practicing of fitness, building of confidence, learning of spatial awareness and feeling part of a community as some of the benefits that come from creative movement dance. Sara Rohs leads a creative-movement dance class. The classes highlight Rohs’ aim to make dance inclusive and accessible to youth in the community. Roh’s teaches dance classes are free of charge for interested children. Rohs says she makes sure to have plenty of superhero capes and monster masks in addition to tutus and tiaras for dress-up to ensure everyone feels welcome. Rohs wants to expand her outreach classes to special needs children and senior citizens in the Madison community. “I think there’s a need for more adaptive dance,” Rohs said. While the summer youth outreach classes are over, you can see the adult company of Madison Contemporary Vision Dance perform in its annual concert on September 29 and 30 at the Overture Center for the Arts. The company and community youth also perform in the holiday concert on November 18 at the Mitby Theater.